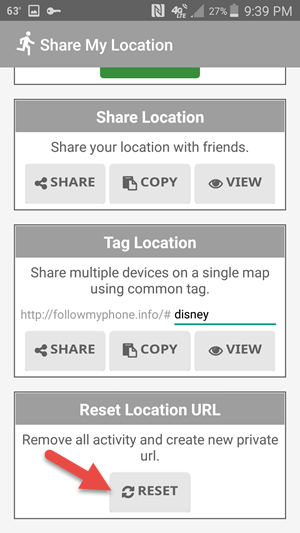 Share your location with your family, friends, co-workers, clients, customers, suppliers, teammates, or anyone you want. 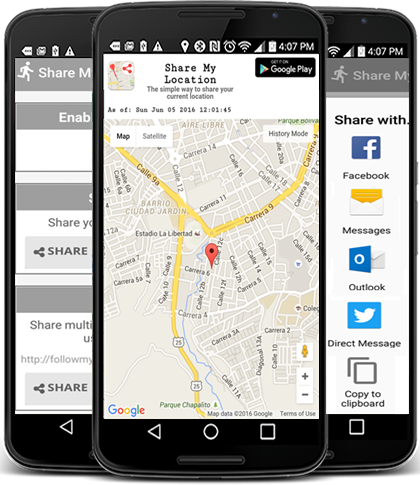 together on the go with Share My Location. Install the app from the Google Play Store. 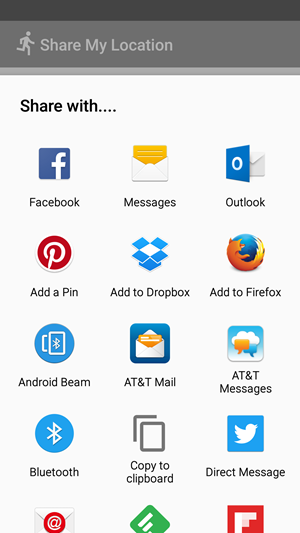 Your friends do NOT need to install the app. 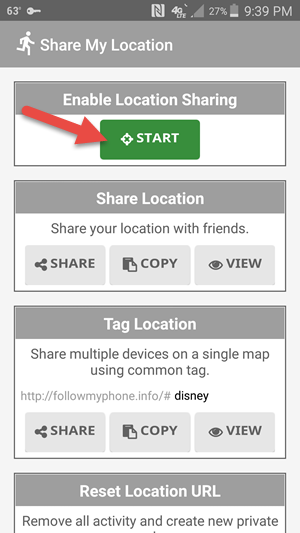 Open the app and click on Start to enable location sharing. Click the Share button. 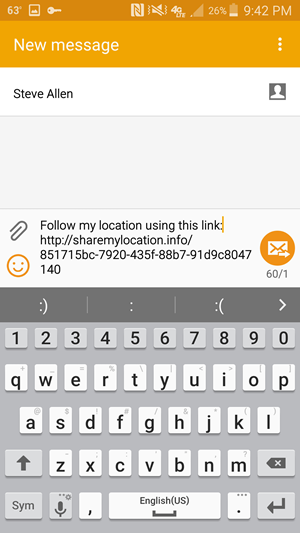 Select the method to share (sms text, facebook, messenger, twitter, email, etc). 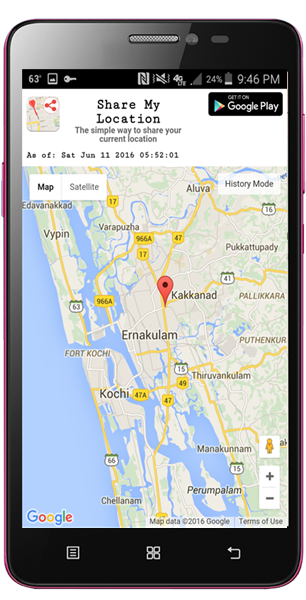 Boom, your friends will see your location on Google Maps. No app required. As you move, the location will automatically be updated. Click Stop and the app will stop updating your current location. Remove all history and create a new unique url by clicking on Reset. The old url and location information will be permanantely deleted. Download our App to make your life excited and easier. In less than 90 seconds, I downloaded the app, enabled sharing, and sent a text to my friends. It was great, my friends tracked me right to their house. I left my wife track the progress of each run (which can be many hours long). She knows where to find me and when I will be home. It is great! I use this app to let my boyfriend know where I am as I commute home from work. I take public transportation and just feel better knowing that he is watching. 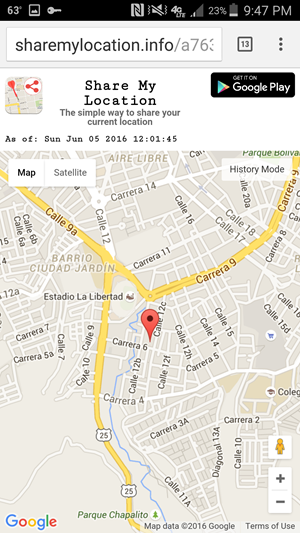 Copyright ©2016 Share My Location. All Rights Reserved.